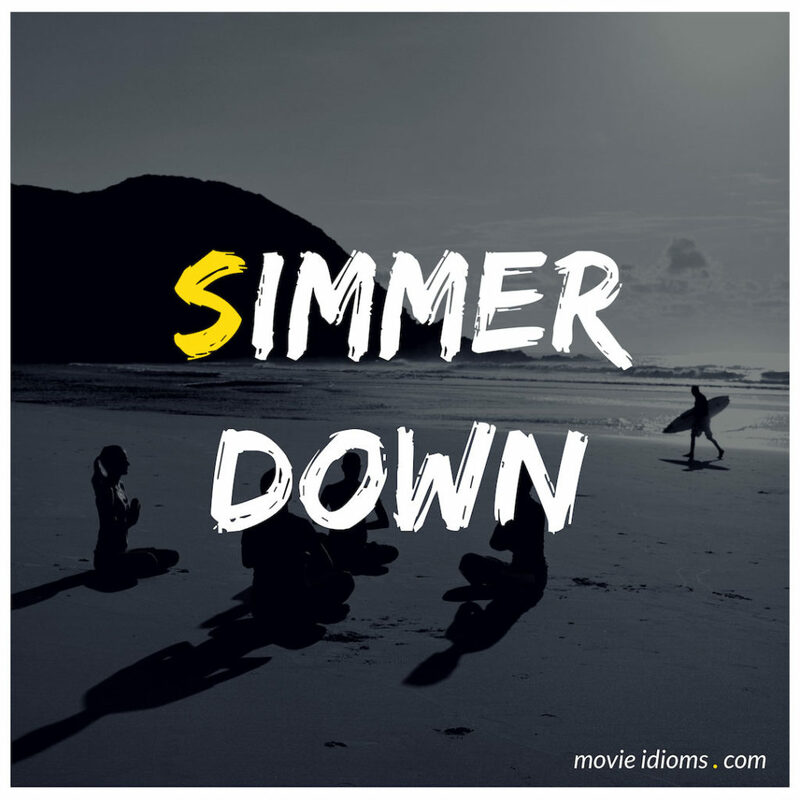 What does simmer down mean? Uncle Jack: Whoa, simmer down there, sparky. Kenny: What the hell did we just walk into? Todd: Hey, Uncle Jack. I don’t see Jesse Pinkman here. He was right here before. Uncle Jack: Anybody got eyes on Pinkman! What d’ya figure? He may be headed down that gully there? Todd: That’s the way I’d go. Uncle Jack: Franky, Lester, go find him. Kenny: Jack. These guys are DEA. Walter White: No! Jack, no! Jack! Minnie Littlejohn: Will Varner, I heard you was in that fire! Will Varner: Simmer down, Minnie. You ain’t a rich widow yet. Michael Scott: My my my my turn! Jan Levinson: Could you just simmer down? Seriously. Michael Scott: I’m just making people laugh. Michael Scott: Yes, I was watching Jim’s face. Jan Levinson: I was watching Jim. And he was laughing. Look. No smile.